Do you wish to trigger a campaign for saving zebras? Or wish to hit a wild party scene as a zombie? Zebra wild life white personalized sunglasses gonna be the right choice for you and it will easily shift the focus on you. These white personalized sunglasses are a becoming a rage on the party scene and people don’t mind it wearing to a corporate picnic or pool side party, too. These cheap and imprinted sunglasses makes a cool party favor during jungle themed parties, green events and many more. 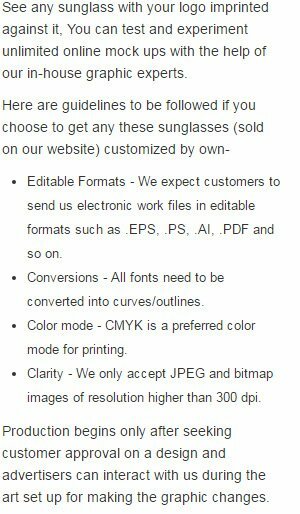 You can avail huge discounts on bulk orders of personalized sunglasses. Highlights - 4 -Color process highlight. White frames with zebra stripe printed lens. Production Time - 7 -Days after Proof Approval. At times it may take 10 days after proof approval, when printed in multiple locations.